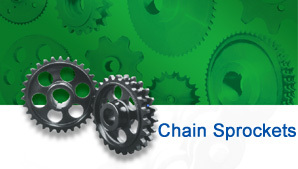 chain, drop forged chain, welded steel chain, and sprockets. 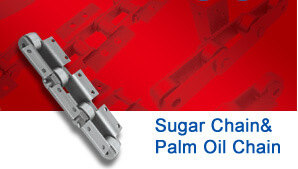 Also available are specialized chains for sugar and palm oil industries. Big Pitch Offset Link Conveyor Chain will be for heavy duty. Meet the application requirements under severe environments, it is especially crafted to support high load carrying under high temperature conditions. For instance, our alloy steel chains for heavy duty uses adopt special bearings as the rotational part, so as to ensure increased load carrying capacity and reduced operational risks. The pins undergo high frequency induction heating treatment and chrome plating successively to enhance strength and abrasion resistance. We can offer sugar industry use chains with varied minimum breaking load options, including 80KN, 120KN, 330KN, 510KN, 620KN, among others. We can offer a wide range of sugar industry use chain attachments. These chain attachments are specially processed to offer higher strength and corrosion resistance, so as to accommodate the operating environment of the sugar making industry use transmission chains. For those products with higher requirement on corrosion resistance and tensile strength, we will conduct high frequency induction heating treatments to the pins and link plates, and can also manufacture the welded offset sidebar chains using stainless steel to enhance anti-corrosion performance. In addition to narrow series welded steel chain, we can also offer corresponding chain attachment to expand the application range of chains. All the welded chain attachments are specially treated to ensure higher corrosion resistance and tensile strength, thus meeting the application demands of narrow series offset link chains. As its name indicates, this series of product is often used in combination with conveyor chain for high speed conveying applications. 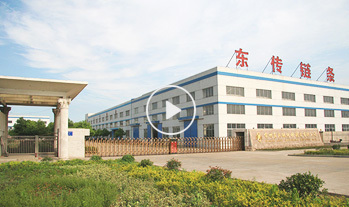 For instance, it is widely used on the assembly lines for automobile parts and electronic parts. These attachments can be combined together selectively for use in specific applications. For instance, the forged hanger bracket, carrier, and outer link plate are usually combined used in overhead trolley conveyors. Our sprocket wheel for meshing with heavy duty offset link roller chains undergoes integral hardening and tempering, so as to offer superior mechanical performance as well as high strength and deformation resistance. Due to this, it supports working with high load. A sprocket wheel is usually used in combination with roller chains, tracks, or other perforated or indented material for rotary motion or mechanical power transmission between two shafts where gears are unsuitable. This range of sprocket wheel is designed to match with chains with pitch options like 9.525, 15.875, 25.40, and 38.10mm. 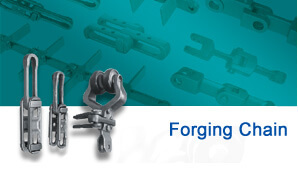 The chain components are made of medium carbon steel and are heat treated to enhance surface performance. As for those chains to be utilized in corrosive environment, blackening treatment is performed so as to achieve corrosion resistance. We can offer a wide range of cast chain products for use in sewage water treatment equipment, as well as conveying applications in sugar making and steelmaking industries. Our chains can be cast using varied material elements, based on specific usage requirements and desired technical standards. Our double pitch precision roller chain sprocket is suitable for low speed, low mechanical power, and large sprocket center distance chain drive applications. It is integrally forged using medium carbon steel. Professional gear hobbing machines are adopted for the teeth creating. This range of drive chain is designed to drag the steel draw bench which is commonly used in steel plants, steel pipe making plants, structural steel cold drawing plants, as well as many other industrial uses. It is applicable for carrying of high impact load under low speed conditions. It is commonly used on petroleum machinery, as well as material handling equipment like the crane and the forklift truck. Varied sidebar-combination versions are available, allowing buyers to choose a proper type according to the load conditions. With superb fatigue resistance, the hollow pin chain is suitable for frequent and repeated operations. With high tensile strength, it offers long lifespan, and is easy for maintenance as well. To satisfy the varied demands of buyers, the lifting chain is designed with pitch options from 101.6mm to 300mm, and tensile strength from 126KN to 410KN. This type of conveyor chain is composed of bended sidebars which are exactly the same. The sidebars are connected with each other directly without other types of link plates. The chain link can be either odd or even number. The sleeve and sidebars are welded together, which ensures simple but durable structure. The product comes with high tensile strength, as majority of the chain components are made using medium carbon steel and undergo heat treatment. If the product is to be applied in corrosive environment, we recommend you choosing our automobile industry transmission chain with stainless steel link plates or sidebars, as well as MC nylon or PA6 rollers. This series of transmission chain for trenchers is mainly used in dirty environment, and has high requirement on its performance in withstanding impact load. For optimized performance, we design this product based on simulated working environment. The external surfaces of the outer sidebars, the both side surfaces of the inner sidebars, as well as the top circle of the pins, all undergo high frequency induction heat treatment. This increases the wearing resistance of the offset link chain. 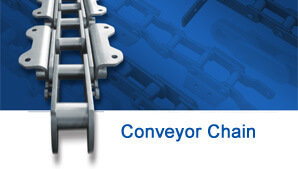 This range of conveyor chain is typically used in box-packaged dairy product conveying lines. 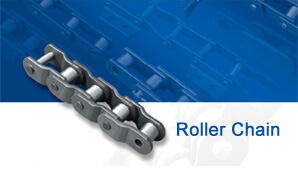 The drive chain is especially designed for chain conveyors responsible for lumber conveying. Medium carbon steel is adopted for making the chain components, and advanced heat treatment is implemented to provide the roller chain with high tensile strength and superb abrasion resistance. 01-21Welcome to visit our website,Thanks!